The Gnostic Gospels: Divinely Inspired, or Profanely Misguided? The long-standing debate over the core message of Christianity has centered largely on the concepts of salvation, redemption, and grace, the origin of these, and what Jesus himself really said about them, if anything at all. The heavy hand of the early Church struggled long and hard to contain its “sheep” from straying too far from the flock and down the paths of alternative belief systems, crushing the many smaller, less-powerful Christian movements as heretical. Mainstream Christianity—whatever the denomination—has inherited this resistant attitude toward heterodox teachings, stressing either the authority of the Church or the Bible as the one and only path to eternal life. But what are the original tenets of Christianity, and where can we find them? Perhaps we need look no further than the Gnostic Gospels, a collection of Christian texts which the early Church rejected as apocrypha while it was developing its dogma and picking the appropriate documents to include in its new sacred book. The gospels were found inside an earthenware jug in 1945 by a pair of brothers digging for fertilizer near some limestone caves near the town of Nag Hammadi, in Upper Egypt. Princeton University religion professor Elaine Pagels is one of the scholars who had the opportunity, while working on her doctoral degree in the 1960s, to examine the thirteen papyrus manuscripts, which were written in third- and fourth-century Coptic translations of Greek texts composed during the first two centuries after Jesus’s death. Once this enormous feat had been accomplished, the manuscripts offered insight into a far more diverse array of beliefs and teachings than ever previously thought—teachings which often contrast thematically with those found in the canonical New Testament. Exactly how do the teachings of these gospels, known also as the Nag Hammadi library, differ from those of the canon? According to Pagels, author of The Gnostic Gospels and Beyond Belief: the Secret Gospel of Thomas, the most striking differences can be found by contrasting the canonical Gospel of St. John with the apocryphal Gospel of St. Thomas, a collection of proverbs attributed to Jesus Christ. The former text, she explains, “says Jesus is utterly unique, and you have to know about Jesus because your salvation depends on it”, while the latter text says, “yes, Jesus is a manifestation of divine light—but so are you. The light is buried in you and me, obscured and forgotten. Jesus speaks as one who is divine, but the same potential is in everyone. So one’s salvation is in discovering who you are”. It is perhaps no wonder, then, that a power-seeking religious organization would reject a gospel which granted spiritual authority to the individual along with salvation through inward exploration. This aversion by the Church to independent-minded mystics had very practical motivations. While evangelical Christians believe that church fathers were divinely guided in selecting the existing sixty-six books of the Christian Bible, non-evangelicals argue that the relatively recent discoveries of texts such as the Gnostic gospels are just steps in an ongoing divine revelation, and should be considered as well. Tom Keogh reports Pagels as saying, “decisions about which gospels were accepted in the New Testament had much to do with the survival of Christianity. Canonical uniformity was key to establishing an organized church.” “The message of the New Testament”, she says, “is that if you want to know God, you need to go through our church. 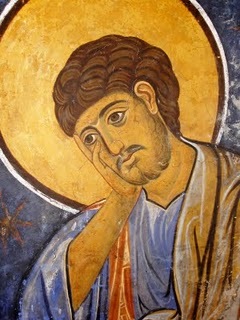 So if someone else, such as Thomas, says you already have access to God just because of the way you are, that doesn’t help a church.” Thus, the early Church needed an ecclesiastical proclamation of canon law which dictated that salvation was obtained only through believing that God tortured himself to death to pay for humanity’s imperfection, not through personal exploration, and that the punishment for rejecting this doctrine was eternal damnation. Of course, in order to garner support for this position it was necessary for the Church to proclaim that it was divinely inspired by God to pick just the right books, and not politically motivated to protect its position. Everything else falls into place if the seeker takes the word of the bishops and the pope on this point. It is easy for many to assume that God told the Church to pick the right books and reject the wrong ones. Evangelicals might argue, “But we do not believe in the authority of the church; we believe in the authority of Scripture”, but non-evangelicals will counter, “but Scripture was compiled by the Church, so if you place authority in the Scripture, you therefore place authority in the Church anyway.” Thus, whether Roman Catholic or Protestant, mainline Christians place great faith in the authority of the early clergy to serve as a conduit of divinely inspired theology and doctrine, and, for them, it means risking eternal damnation to explore other teachings of Christ which assure them that salvation is in their own hands. Perhaps non-evangelicals have the upper hand, though, in arguing that the Bible is a biased compilation, that Christianity should have an open canon, and that the conscience of the individual serves as a direct link to the divine.